At the end of October, the Chancellor made a number of announcements in the Autumn budget, including signalling the end to austerity. For the restructuring profession – and lenders in particular – one of the most notable announcements was that HMRC will become a secondary preferential creditor for taxes held by companies on behalf of employees and customers (i.e. VAT, PAYE Income Tax, Employee NICs, and Construction Industry Scheme deductions) from April 2020. The change will not apply for taxes owed by businesses, such as Corporation Tax and Employer NICs. Currently the only class of creditor who enjoy preferential status to floating charge holders and ordinary unsecured creditors are the liabilities of former employees in respect of arrears of wages, accrued holiday pay and outstanding pension contributions, up to statutory limits. As such HMRC presently rank pari-passu (or equally) with all other unsecured creditors in any dividend distribution. Whilst this change doesn’t fully return HMRC to the preferential status it once enjoyed pre 2002 (UK) / 2006 (NI) it does push HMRC higher up the repayment ranking in the event of formal insolvency (administration / liquidation). 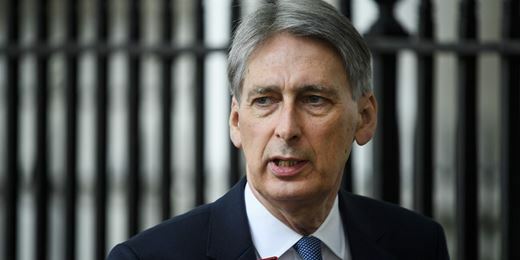 The Chancellor has attempted to defend this change, claiming that it is being made to “ensure that tax which has been collected on behalf of HMRC is actually paid to HMRC”, rather than being distributed to other creditors. The result of HMRC’s improved ranking will undoubtedly see a reduced dividend paid to unsecured creditors, including lending institutions for any unsecured shortfalls. However, in addition, it will also impact upon floating charge recoveries as these will now rank behind HMRC’s new ‘preferential’ status. As such, lenders may need to take into account the enhanced risk and effective devaluation of their floating charge security when offering terms to its borrowers. Furthermore, the change in priority needs to be carefully considered when providing support to distressed businesses from 2020 onwards. Previously any support was likely to be supported by floating charge or debenture security but this now will have significant leakage to HMRC if the company does subsequently fail. The potential for leakage under a lender’s floating charge security may be further influenced by the UK Supreme Court’s judgment in Pimlico Plumbers v Smith from earlier in the summer. This case centred around the treatment of an individual’s employment status in relation to a “gig economy” i.e. temporary employment / independent contractor / freelancer and that whilst a person may be deemed self-employed for tax purposes, this does not automatically mean that the same will apply with regards employments rights purposes. The legal position as to whether an individual is a worker, an employee or neither will depend on the particular contract, workplace arrangement and facts. In an insolvency scenario, secured lenders may therefore find an enhanced preferential claim in relation to arrears of wages and / or holiday pay for such workers. This will introduce further leakage from their floating charge security. It is not yet clear when these changes will take effect in Northern Ireland (there is often a lag in implementation behind the UK) but the change now looks certain to arrive in due course.